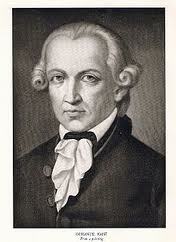 It is Immanuel Kant who wrote that people should never be treated as the means to an end but only as ends in themselves. I think about this in relation to arts policy quite a lot. All too often, art is treated as an instrument toward economic ends (see my comments on the creative placemaking movement, for example). Art, however is an end in itself. Let’s turn the policy paradigm on its head and consider that economic means are an instrument for the creation of art. That, to me, is the raison d’être of arts entrepreneurship. This entry was posted in Arts entrepreneurship, Arts policy and tagged arts entrepreneurship, arts policy, Creative Placemaking, Kant. Bookmark the permalink.